British rock and roll, ska and punk DJ who rose to prominence in the '70s as The Clash's in-house/on-tour DJ. His releases include compilations such as Trojan Records' "Scratchy Sounds: Ska, Dub, Roots and Reggae Nuggets". 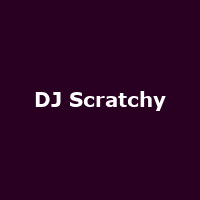 He has also presented his own internet-radio show, Scratchy Sounds.